Looking to kick off fall in a big way? Host your own dinner party complete with fall-inspired appetizers! Food is the perfect way to transition yourself (and your stomach) into the colder months. Serve up warm, hearty appetizers that are sure to have your guests heading back to the snack table. Apple, caramel, squash, and pumpkin are all ingredients that are sure to have your tastebuds buzzing, and get you into the fall spirit. Here are a few amazing fall-inspired appetizers that are perfect for your next gathering. Doesn’t this just sound delicious? Nothing like melting cheese to kick your party up a notch! 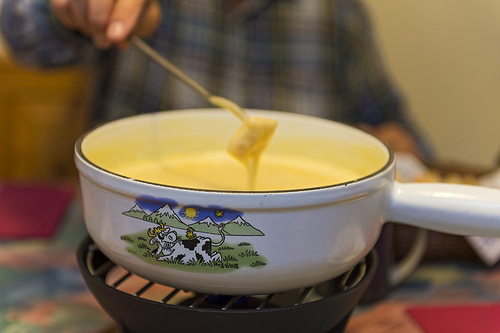 Add a kick to your regular fondue with a touch of hard cider. Your guests will be begging for the recipe. This is the type of appetizer that truly warms the soul. 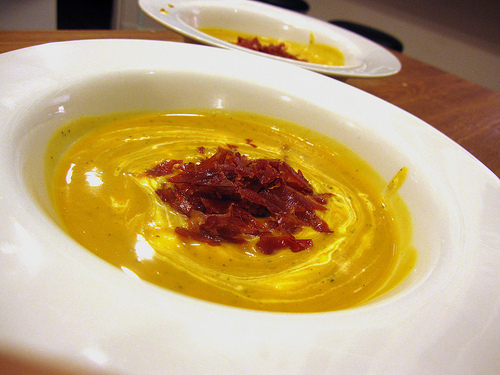 Add a bit of cinnamon to the soup for a more autumnal feel. Let’s get fancy! 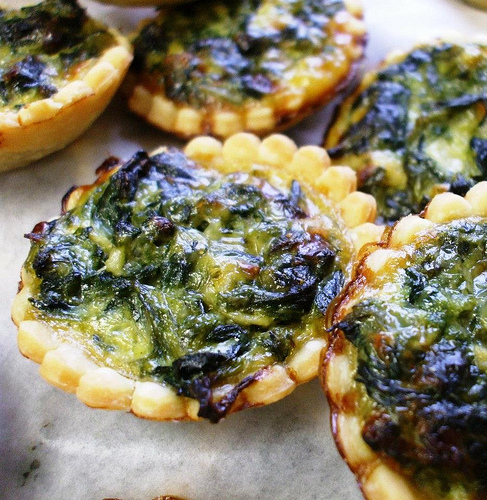 Quiche is absolutely delicious, and decedent appetizer that is surely to be the talk of your party. Make sure to make a double batch. These quiches will go quickly. My mouth is watering just thinking about these! Who wouldn’t love a taste of Thanksgiving? Serve these along side cranberry sauce for the ultimate fall treat. Need a scrumptious addition to your regular cheese plate? Look no further! These dreamy croutons will the perfect addition to your appetizer selection. Hummus lovers rejoice! This dip is absolutely amazing. Chickpeas coupled with tasty butternut squash is sure to be a crowd-pleaser. Pair alongside apple chips for the perfect fall combination. Could you imagine anything more mouth-watering? These mini pizzas are perfect addition to your next kid-friendly party. The best part? Adults are sure to love these as well. Looking for a unique dip idea for your next gathering? 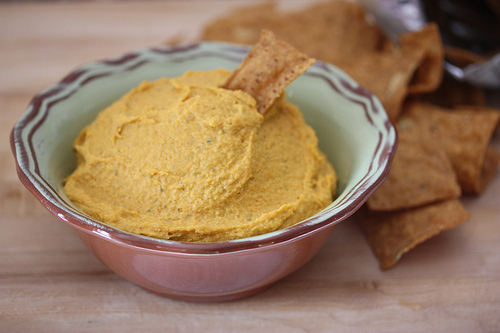 Try a beer cheese dip! 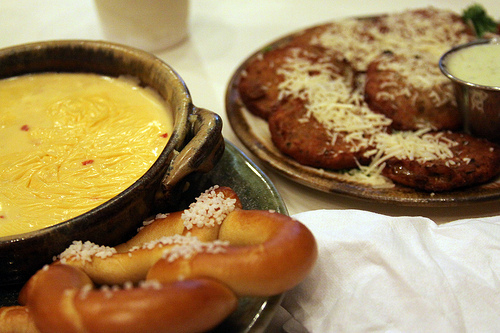 By adding flat beer to a traditional cheese dip recipe, you’re enhancing the flavors of the cheese tremendous. This will be a dip that will make you wish that you made more. 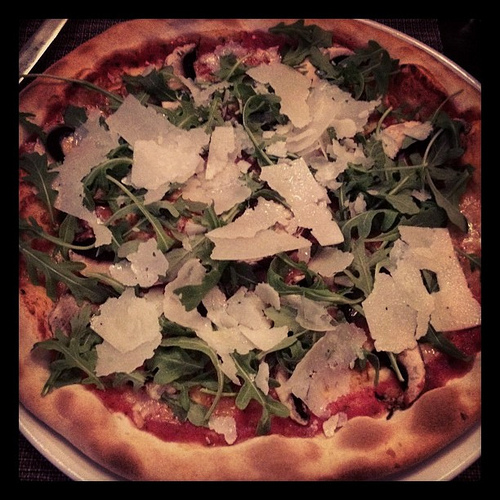 Needing a vegan, gluten-free option to add to your menu? Try these yummy pumpkin bars. They are packed with healthy ingredients, and are sure to be great before and after your meal.